Vox Media is crashing the NewFronts party. Though it doesn't have an official slot during the two-week digital video marketplace, Vox is still making its pitch to advertisers. While the official IAB NewFronts schedule today includes Hulu, PopSugar, Yahoo and Hearst, Vox is holding three separate events as it tries to take advantage of buyers being in New York for the next two weeks. Vox Media CEO Jim Bankoff, during the first event this afternoon at Milk Studios, touted his media company's ability to grow from a single outlet—the sports-themed SB Nation—into eight different brands that span a wide array of interests. "We're the only company that has proven an ability to grow multiple brands to scale," he said. 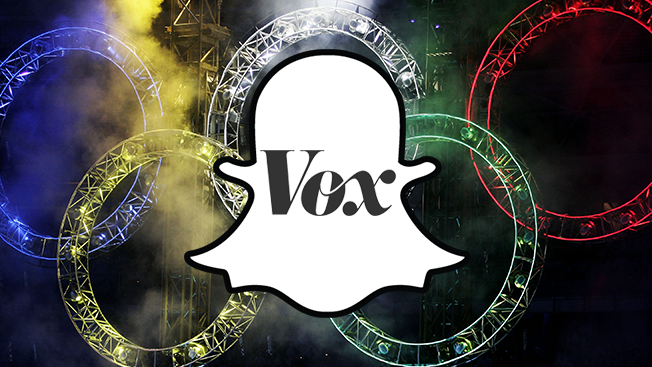 Vox is expanding its Snapchat presence to incorporate all eight of its brands—including Re/code, Curbed and The Verge—and will move away from a 24/7 Vox.com channel in favor of a "big events" format. "We'll collaborate with Snapchat and pick the moments that are biggest to the Snapchat audience and Snapchat advertisers, and program around those," added Bankoff. To accomplish that, Vox is building out a studio dedicated solely to the social platform. NBCUniversal, which invested $200 million in Vox Media last summer, cut a deal with Snapchat to show highlights from the 2016 Summer Olympics in Rio, including a Discover channel that will be co-managed by BuzzFeed, another digital company in which NBCU has a significant investment. But Vox's ties with NBCU don't end in Rio. SB Nation and NBC's Telemundo will create the first mobile, bilingual sports property. SB Nation will also be working with NBC Sports to create a slate of original digital video series around Sunday Night Football. "We think we're really good at stories; we're really good at bringing media across all platforms," said NBC Sports Group chairman Mark Lazarus. "But there are things that we as a 'new old media' company don't do as well as someone like Vox does or an SB Nation does over time." Vox's real estate and home-focused Curbed sites will curate a new section on BravoTV.com focused around Curbed's "Love Where You Live" series. Curbed will also partner with FYI, an A+E Networks channel, for its first TV series, a long-gestating intiative from Vox "to develop a sufficient level of great TV content so that we can think of our brands as TV networks just as much as we think of them as websites," Marty Moe, president of Vox Media and Vox Entertainment, told Adweek earlier this year. Prefabulous will focus on the high-style prefabricated home trend. Production is underway on eight half-hour episodes. "We want audiences to connect with Vox Media brands wherever they are, across every platform and device they are using," added Moe in today's announcement. "That includes websites, social and mobile platforms, live events, and now in our first extension to television with FYI." And a month after launching Concert, Vox and NBCU are expanding their addressable ad buying capabilities using Google's new programmatic technology to sell custom creatives. AT&T is the launch sponsor. Vox's branded content unit, Vox Creative, is also rolling out a Data Concierge service as an addition to Chorus, the proprietary storytelling, distribution, and insights platform it launched last year. Lindsay Nelson, global head of brand strategy at Vox Media said the service is meant to add a "personalized, human approach" to bridging data, analysis and action. "It turns out what marketers don't need is more raw data or another dashboard to log into," Nelson said. "Instead, they want actionable insights that help them make business decisions. They want to be smarter about content for the long run and need our expertise with the translation of data into something tangible."